Each year after Thanksgiving, the front lawn of East Side Grace Brethren Church in Blacklick, Ohio (Chip Heim, senior pastor), transforms into that enduring holiday motif: the Christmas tree lot. Open weekends in the afternoon until Christmas, Trees of Hope, a ministry of East Side Grace Brethren Church, brings the entire congregation together, combining ministries and talents to create a truly beautiful holiday tradition. “The idea for Trees of Hope was born out of one of our young adult home groups in 2005,” she continues. From the men’s ministry taking a day to set up the trees in the lot, to the volunteers working weekend shifts selling trees, it has since grown into a church-wide ministry. But that’s not all. In addition to the funds raised for an international ministry (totaling nearly $55,000 in the last nine years), Trees of Hope also includes a community outreach element. 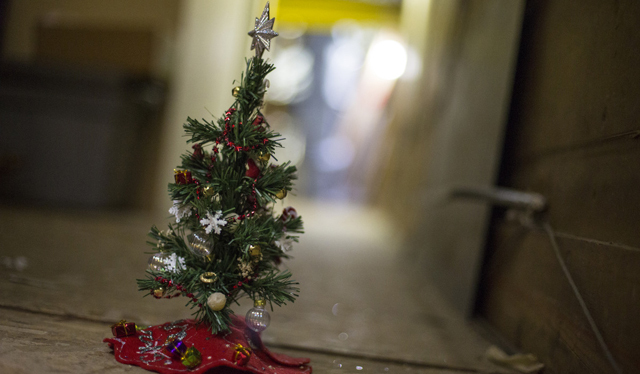 Growing out of the church’s food pantry, the church gives out scores of Christmas trees to families who otherwise wouldn’t be able to afford the simple holiday pleasure. Along with the tree comes a care package full of Christmas goodies: tree decorations, handmade ornament and cards made by art students at Grace Christian School, and a meal complete with a Christmas ham. 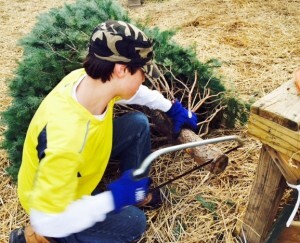 For more inspiration on starting a ministry like Trees of Hope, visit esgbc.org/treesofhope/ or the ESGBC Facebook page. Connect with Becky Sager, who coordinates Trees of Hope. Click here to send her a note of encouragement.